Resources to support your class work and beyond. Forster uses a different style of writing in the 1958 ‘A Room Without a View’. In this piece of writing he imagines how Lucy and George’s lives have developed since the time the novel was written in 1908. Forster explores the impact of the wars on the Emersons and those who surround them. The style of writing that Forster uses at time touches on post-modernism. The fact that these lives are fictional are made explicit within the writing and there’s a clear sense of the presence of a writer – and an imagination – at work. 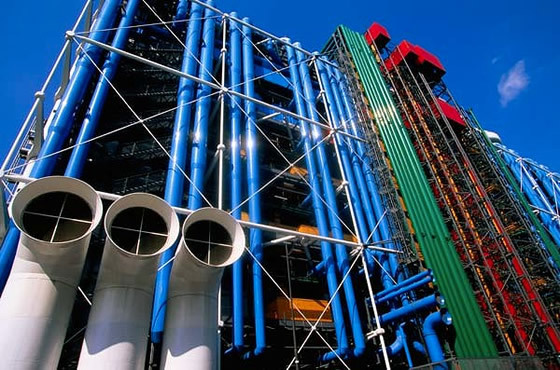 Consider the use of Meta-fictive techniques and that sense of making the functional explicit that is so clearly explicit within the design of the Pompidou Centre. Look for examples of the post modern around you. Once you start to recognise it, you will see it everywhere. A Room with a View was published in 1908. Here we are in 1958 and it occurs to me to wonder what the characters have been doing during the interval. They were created even earlier than 1908. The Italian half of the novel was almost the first piece of fiction I attempted. I laid it aside to write and publish two other novels, and the returned to it and added the English half. It is not my preferred novel – The Longest Journey is that – but it may fairly be called the nicest. It contains a hero and heroine who are supposed to be good, good-looking and in love – and who are promised happiness. Have they achieved it? Lucy (Mrs George Emersen) must now be in her late sixties, George in his early seventies – a ripe age, though not as ripe as my own. They are still a personable couple, and fond of each other and of their children and grandchildren. But where do they live? Ah, that is the difficulty, and that is why I have entitled this article ‘A View without a Room’. I cannot think where George and Lucy live. After their Florentine honeymoon they probably settled down in Hampstead. No – in Highgate. That is pretty clear, and the next six years were from the point of view of amenity the best they ever experienced. George cleared out of the railway and got a better-paid clerkship in a government office, Lucy brought a nice little dowry along with her, which they were too sensible not to enjoy, and Miss Bartlett left them what she termed her little all. (Who would have thought it of Cousin Charlotte? I should never have thought anything else.) They had a servant who slept in, and were becoming comfortable capitalists when World War I exploded – the war that was to end war – and spoiled everything. George instantly became a conscientious objector. He accepted alternative service, so did not go to prison, but he lost his government job and was out of the running for Homes for Heroes when peace came. Mrs Honeychurch was terribly upset by her son-in-law’s conduct. Lucy now got on her high horse and declared herself a conscientious objector too, and ran a more immediate risk by continuing to play Beethoven. Hun music! She was overheard and reported, and the police called. Old Mr Emerson, who lived with the young couple, addressed the police at length. They told him he had better look out. Shortly afterwards he died, still looking out and confident that Love and Truth would see humanity through in the end. They saw the family through, which is something. No government authorized or ever will authorize either Love or Truth, but they worked privately in this case and helped the squalid move from Highgate to Carshalton. The George Emersons now had two girls and a boy and were beginning to want a real home – somewhere in the country where they would take root and unobtrusively found a dynasty. But civilization was not moving that way. The characters in my other novels were experiencing similar troubles. Howard’s End is a hunt for a home. India is a Passage for Indians as well as English. No resting-place. For a time Windy Corner dangled illusively. After Mrs Honeychurch’s death there was a chance of moving into that much loved house. But Freddy, who had inherited it, was obliged to sell and realize the capital for the upbringing of his family. And unsuccessful yet prolific doctor, Freddy could not do other than sell. Windy Corner disappeared, its garden was built over, and the name of Honeychurch resounded in Surrey no more. In due course World War II broke out – the one that was to end with a durable peace. George instantly enlisted. Being both intelligent and passionate, he could distinguish between a Germany that was not much worse than England and a Germany that was devilish. At the age of fifty he could recognize in Hitlerism an enemy of the heart as well as of the head and the arts. He discovered that he loved fighting and had been starved by its absence, and also discovered that away from his wife he did not remain chaste. For Lucy the war was less varied. She gave some music lessons and broadcast some Beethoven, who was quite all right this time, but the little flat at Watford, where she was trying to keep things together against George’s return, was bombed, the loss of her possessions and mementos was complete, and the same thing happened to their married daughter, away at Nuneaton. At the front George rose to the rank of corporal, was wounded and taken prisoner in Africa, and imprisoned in Mussolini’s Italy, where he found the Italians sometimes sympathetic as they had been in his tourist days, and sometimes less sympathetic. When Italy collapsed he moved northward through the chaos towards Florence. The beloved city had changed, but not unrecognizably. The Trinita*0224* Bridge had been destroyed, both ends of the Ponte Vecchio were in a mess, but the Piazza Signoria, where once a trifling murder had occurred, still survived. So did the district where the Pension Bertolini had once flourished – nothing damaged at all. 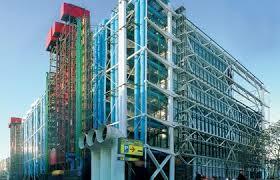 And George set out – as I did myself a few years later – to locate the particular building. He failed. For though nothing is damaged all is changed. The houses on that stretch of the Lungarno have been renumbered and remodelled and, as it were, remelted, some of the facdes have been extended, others have shrunk, so that it is impossible to decide which room was romantic half a century ago. George had therefore to report to Lucy that the View was still there and that the Room must be there, too, but could not be found. She was glad of the news, although at that moment she was homeless. It was something to have retained a View, and, secure in it and in their love as long as they have one another to love, George and Lucy await World War III – the one that would end war and everything else, too. The chap in question must have been Cecil. The mixture of mischief and culture is unmistakable. Our hostess was reassured, the ban was lifted, and the Moonlight Sonata shimmered into the desert.